In 1853, the State of Ohio mandated that all children must have the privilege of attending school. That decision began the public school system, and as a result one-room school houses were constructed in the Frankfort and Clarksburg areas. For over three decades the small buildings were the central points of grade-school education in the region, until 1889 when the local Board of Education proposed the first establishment of a high school in the area at Clarksburg, offering local children further public education. After the success of the resolution, a two-story brick building was erected on the west side of the village. The first classes were held in 1893, and by 1910 a frame building had to be added to accommodate increasing enrollment. From 1909 to 1914 Mr. J. L. Fortney, was superintendent of the township schools. He was an instrumental figure in the expansion and centralization of the school system by securing funding for new buildings, earning the school accreditation in Ohio as a first-grade high school, and bringing the many disparate schools under a central administration. During Fortney’s tenure the community passed a bond issue to build the larger, more modern brick-constructed high school building in 1914. Due to the efforts of the Parent Teachers Association a large Community House was erected on the school grounds in 1922. The construction was aided partly by demobilization after World War I, since the addition was purchased at the Federal Government’s auction of surplus Camp Sherman buildings for $200. The structure was dismantled at the former training installation near Chillicothe and re-assembled behind the 1914 building. When completed it had a gym floor, stage and bleachers. Throughout the coming decade the Community House became an invaluable asset for the school and local citizens alike, and it served as the venue of the first basketball tournament held in Ross County. In 1926 the population of the small village of Clarksburg numbered five hundred. In total, two hundred ninety pupils were enrolled in the public schools: 236 in the grade school and 54 high school students. Despite the Great Depression, the Clarksburg High School continued to expand. A new addition was added in 1936. Local funding came from a $30,100 Bond levy, but the village also took advantage of President Franklin Roosevelt’s varied economic programs – the expansion was subsidized by a $12,100 grant from the Federal Government’s Public Works Administration program (PWA). With additional help from the government’s Works Progress Administration (WPA) program, the community constructed a new gymnasium to replace the Clarksburg Community House. Three additional rooms, including an industrial arts shop, were added in 1938. Four years later the Community House building was offered for sale at public auction and sold for $535. 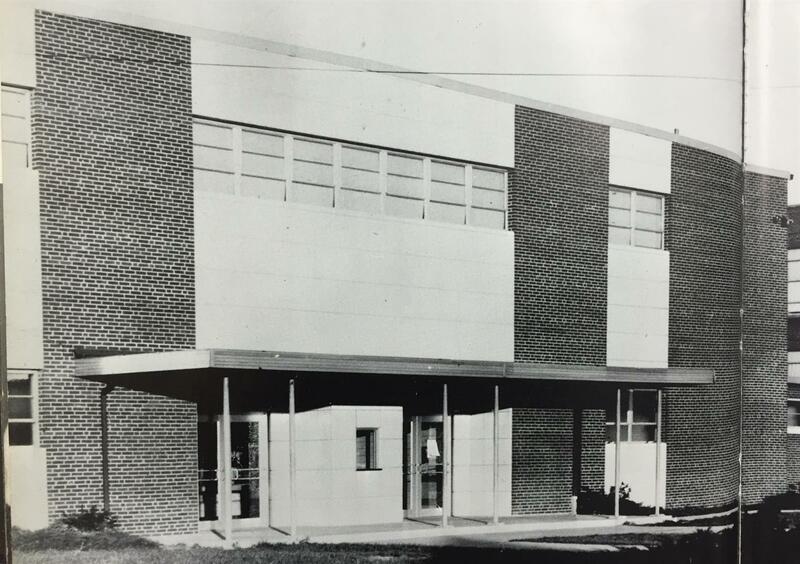 The pace of development slowed over the next few decades until 1964-65 when the last major additions were made to the building in preparation for conversion into the Adena Junior High School. A cafeteria was added, along with rooms above the hallway tunnel that connected the 1914 and 1936 buildings. Thy name shall ever be. 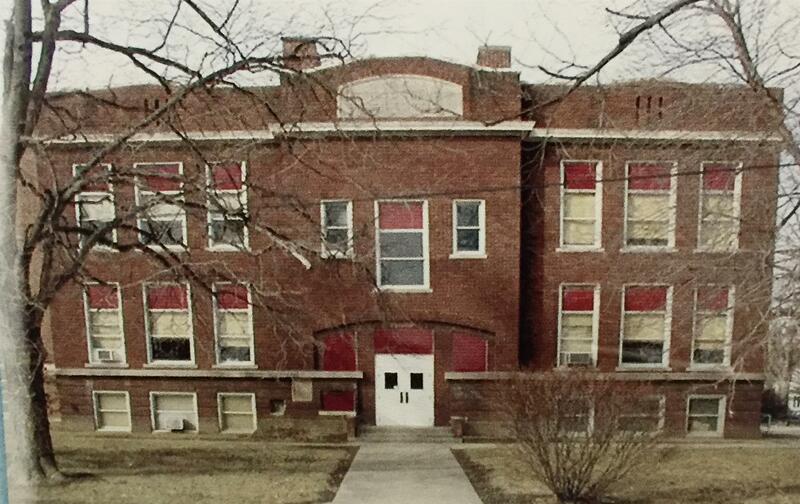 The Frankfort School was built on West High Street in 1912 at a cost of $32,000. For the next twelve years all enrolled students received education there from grades 1-12. In 1923, however, the capacity of the school was beyond its limits. Even though the building was to accommodate seventy-five pupils, the student population had swelled to twice that amount with 155 enrolled. Because of the overcrowding a two-story brick building was built in nearby Austin. 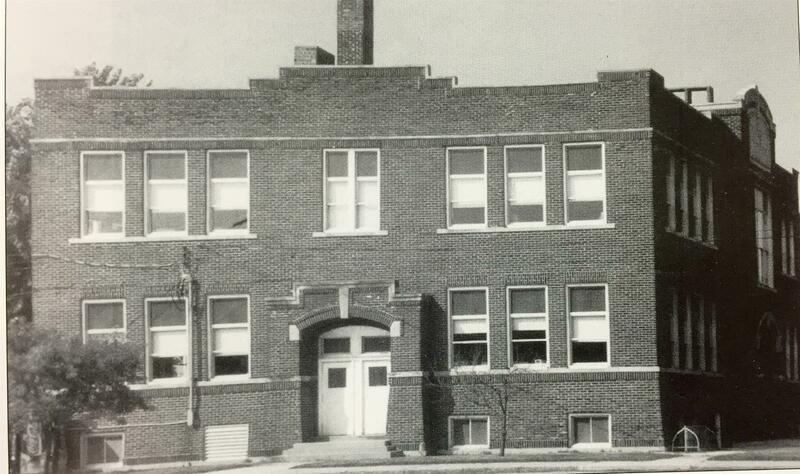 Schooling began at this new building on September 24, 1923, but it closed in 1941. 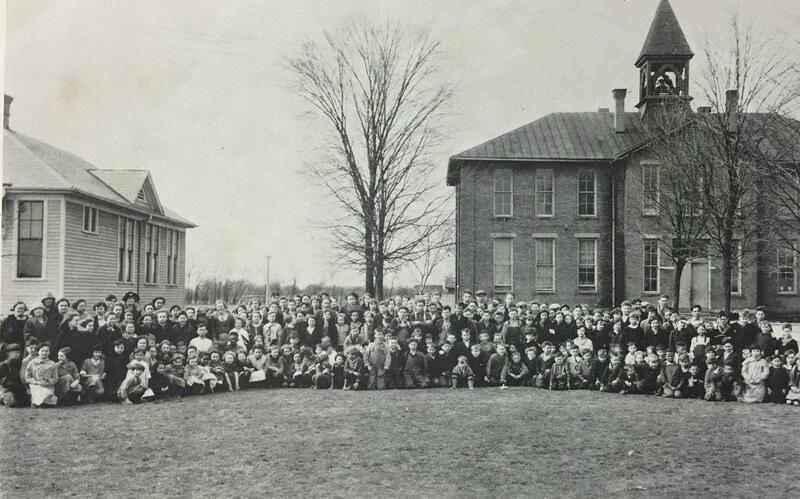 Thereafter, all schooling for the area’s children was consolidated to Frankfort, and students were bused into town. The Concord/Frankfort High School, made of pressed brick and stone, was built in 1924 on West High Street. It consisted of a regulation gymnasium, two laboratories, and manual training for the boys, which was in the course of study for the first time in Frankfort School’s history. Given the enrollment size at the time and the expansive floor plan, there was plenty of room for all the other classes. In 1929, the high school changed its name to Frankfort High School. 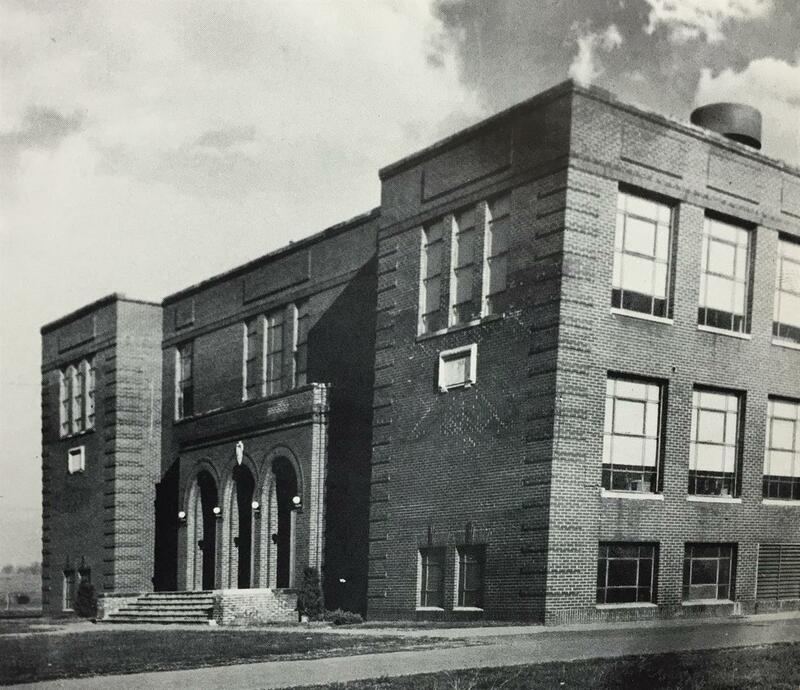 A new addition in 1937 housed the biology and chemistry laboratory, math room, and the home economics department. In 1952, the high school expanded further with the construction of a vocational-industrial building. That same year the district built a new elementary building that was used for kindergarten and first grade classes. It also housed not only the cafeteria but offices for the superintendent, principal, and treasurer. Further expansion did not resume until the next decade, when in October 1962 a new gymnasium and music department was completed and the library, study hall and audio-visual room remodeled. We vainly seek to spell. On football, field, or track. In 1965, what had been known as Frankfort High School was formally renamed Adena High School, the product of redistricting. As part of this redistricting, Frankfort and Clarksburg Schools consolidated. All seventh and eighth grade students from the Frankfort and Clarksburg areas were bused to the Clarksburg school while grades 9 through 12 received their education in Frankfort. In 1993 the schools restructured yet again. Kindergarten through grade 3 and all high school grades were spread across the Frankfort campus and its many buildings while grades 4-8 attended Clarksburg. At Frankfort, in 1984 the high school gymnasium was named Cindy Noble Gymnasium in honor of 1977 graduate Cindy Noble Hauserman, following the basketball star’s participation in the 1980 and 1984 Olympics. The Adena Local School District stepped toward the future when a new K-12 facility that houses up to 1,414 students was built along County Road 550, Frankfort. The modern building, costing $24.2 million, not only boasts the cutting edge in grade school design, but it also marks a historic accomplishment for the area: it is the first K-12 facility under one roof built in Ohio. The school opened its doors on September 4, 2001. 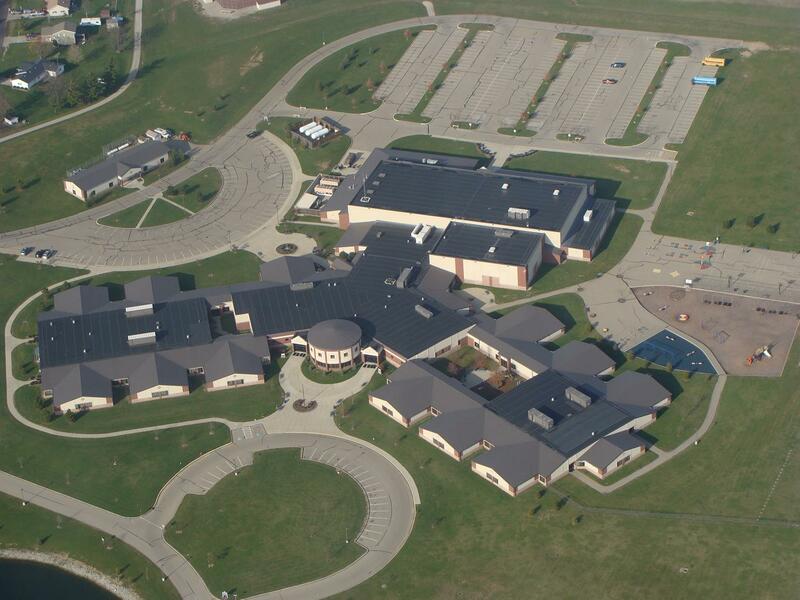 The Adena Local Board of Education held a dedication for the new complex on October 28, 2001. As through life we go. Go on with the fight! 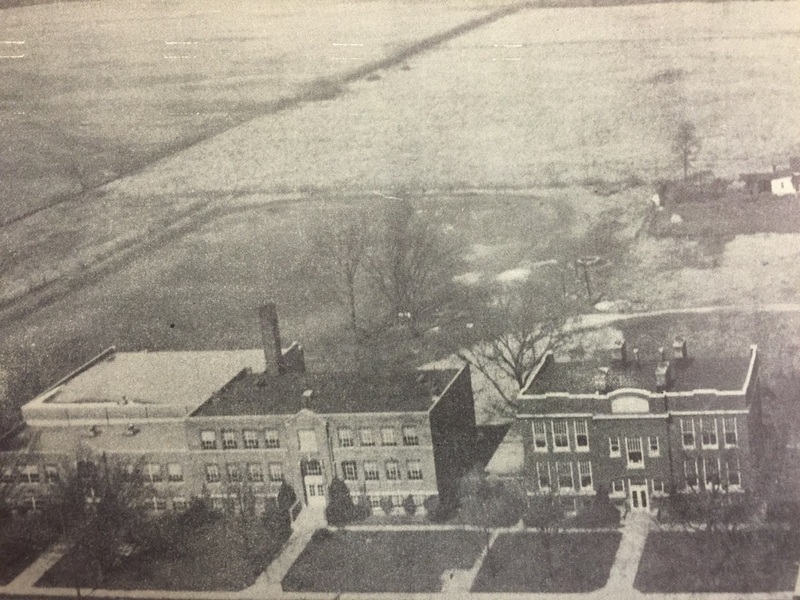 As a result of the construction of the new K-12 facility, the many time-honored structures in Frankfort and Clarksburg built between 1912 and 1952 were demolished.